Registered Professional Engineer in the state of Florida. Graduate from the University of Wisconsin in Madison with both an MBA in Finance & Banking, and BS in Mechanical Engineering. 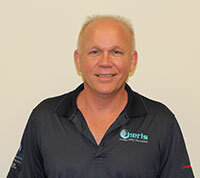 Prior to joining FCTC, Dan worked for the prior twelve years with YORK/JCI, Division of Sales in South Florida. Dan was one of the York/JCI's top performers during his tenure. Dan is a leader in the ASHRAE community focusing on motivating regional teams to excell in Research & Promotion activities for Region XII & Society. 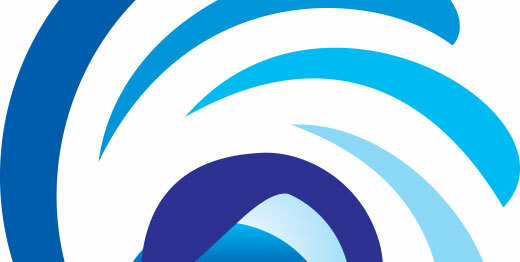 After his tenure with YORK/JCI, he now heads Flow Control Technology Company LLC , headquartered in Tampa, Florida. 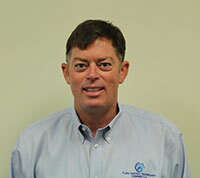 Phil joined Flow Control Technologies with over 20 years of industrial and commercial HVAC control systems. He graduated from the University of Central Florida with a Bachelor of Science degree in Electrical Engineering Technology. Phil has spent the last 17 years in commercial HVAC controls representing Andover Controls and York/JCI. Phil headed up the controls division with York for Central Florida and was a member of the controls design and development team for York ConneXsys Bacnet product development. While at York, Phil was a recipient of the Gold Eagle award. He is also a member of ASHRAE and FHEA. Greg joined Flow Control Technologies with over 10 years of HVAC control systems and more than 20 years in field engineering based services. Greg is a veteran of the USMC where he received his training in communications and electrical technology. Prior to joining Flow Control Technologies, Greg spent the 8 years working for Phoenix Controls Corporation. Gregâ€™s served in the capacity of a Product Support Engineer. His responsibilities included project management, customer training, application and field services support. Prior to that Greg had worked in the semi-conductor and industrial manufacturing industries in a field service capacity. Greg responsibilities at Flow Control Technologies include project management, field service support, service contracts, and technical documentation. 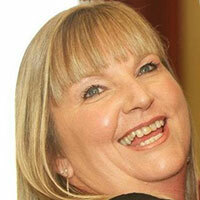 Melanie joined Flow Control Technologies in August 2006 with over two decades of experience in the capacity of Office Manager specializing in finance. Her professional experience is wonderfully diverse, including medical, construction development, real estate and manufacturing. She has a passion for small business. Her professionalism and organizational skills have helped Flow Control Technologies makes sure all the "i's" are dotted and the "t's" are crossed. "Helping businesses solidify their foundation and operate at the next level is one of my main objectives," Melanie says. "Whether it's operations, human resources, office management, accounting, budgeting or financial analysis and forecasting, there is great satisfaction in helping owners achieve success and their dreams." Jason joined the firm in 2009 after working with Johnson Controls. He has over 8 years of HVAC experience including the last 4 years in critical laboratory and healthcare solutions. Prior to his work with Johnson Controls he worked for Northrop Grumman on U.S. Navy Aircraft modifications, Intel Corporation on silicon processor and chipset testing and the U.S. Army as an Aircraft Avionics and Electrical technician. He is a combat veteran that served in Operation Enduring Freedom V.
Jason serves as the Operations Manager responsible for initial start-up, commissioning, building management integration via BACnet and/or Lonworks and service of our equipment. He earned his Bachelor of Science in Business Management from the University of Phoenix. 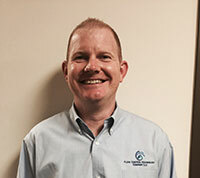 Chris joined Flow Control Technologies with over 15 years of facility operations and project management experience specializing in commercial HVAC applications. His previous roles have ranged from control technician for a 5.2M square foot public university to director of facilities for a 1.2M square foot non-profit hospital with 33 operating rooms. Chris holds a Bachelor of Science in Business Administration and is currently pursuing his Master of Business Administration from the University of South Florida. He is also a certified Project Management Professional (PMP) from the Project Management Institute (PMI) and he has also completed his OSHA 30 hour training in General Industry. Chris is a proud member of ASHRAE, FHEA, PMI, and IFMA. He supports our South Florida market clients.